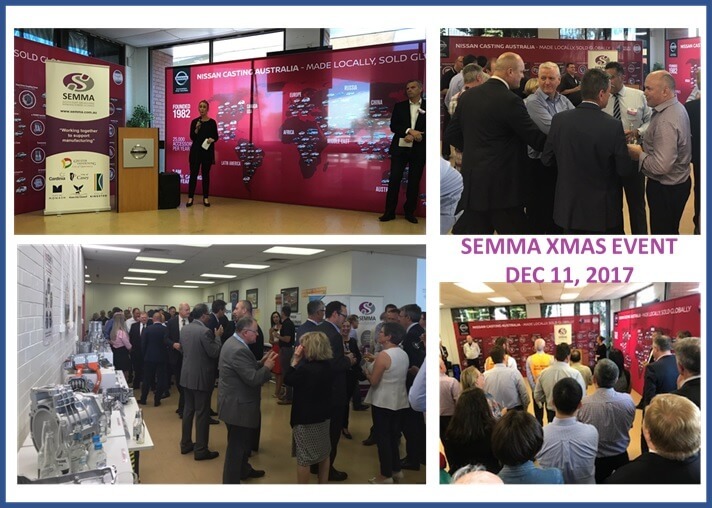 SEMMA finished 2017 with a bang with our Members’ Christmas function held at Nissan Casting and sponsored by Vative and AB Phillips. The evening was a great opportunity to meet and network with SEMMA members, Politicians, Industry people and have a drink together. This year’s event saw record attendance of over 200 guests! Attending were Members of Parliament – both Federal and State, including Ms Gabrielle Williams MP for Dandenong, Parliamentary Secretary for Health; Parliamentary Secretary for Carers & Volunteers, The Hon Mark Dreyfus QC, MP Federal Member for Isaacs; Shadow Attorney-General; Shadow Minister for National Security, The Hon David Hodgett MP Deputy Leader of the Opposition; Shadow Minister for Roads & Infrastructure, Ports & Freight, The Hon Ryan Smith MP Shadow Special Minister of State; Shadow Minister for Cost of Living; Shadow Minister for Industry as well as Mrs Inga Peulich MLC Member for South Eastern Metropolitan Region; Shadow Minister for Multicultural Affairs and City of Casey Councillor Amanda Stapledon, amongst other important representatives of Council, Universities and CSIRO. The Managing Director from our host sponsor Nissan, Peter Jones, opened the event and enlightened us all on the Nissan Casting plant and their industry changes. He also welcomed the SEMMA guests to their facility, with the opportunity to take a tour of their factory. 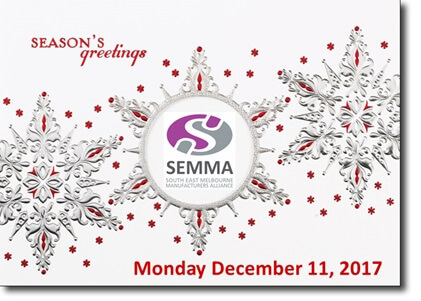 On behalf of the SEMMA team and Board, thank you for attending our end of year event and celebrating another year working together to support manufacturing. Thank you also to everyone for coming along to support Cathy and say farewell. We are all very proud of her and wish her well in her future role with the Victorian Police Force. Photos taken by SEMMA team of the SEMMA Christmas event held at Nissan. 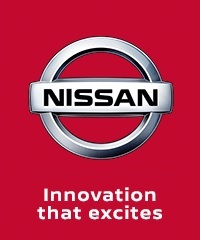 SEMMA would like to thank Nissan, Vative, AB Phillips and Hilton who sponsored the SEMMA Christmas Cocktail Event on Monday December 11.